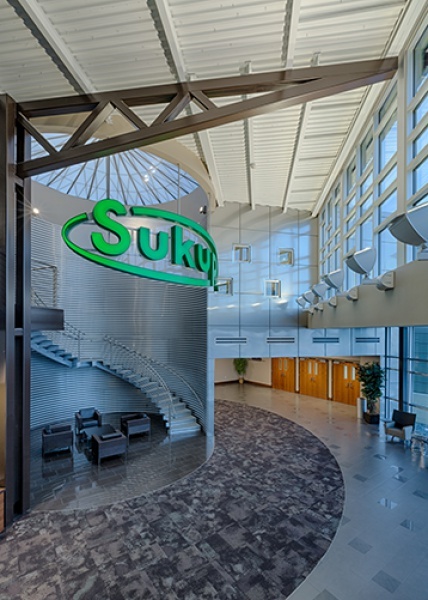 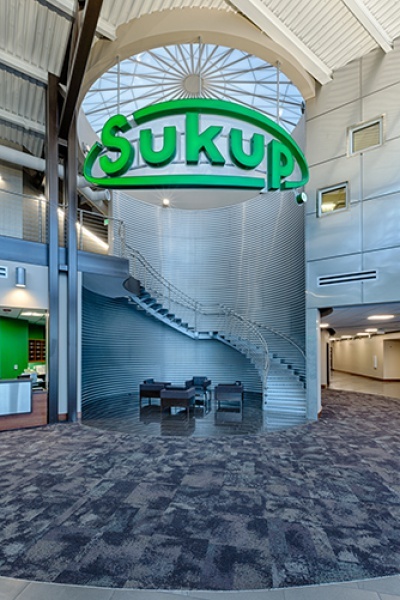 Home / Portfolio / Commercial / Sukup Manufacturing Co.
Sukup Manufacturing Co. provides grain bins, dryers and pre-engineered metal buildings to agriculture and industrial markets. 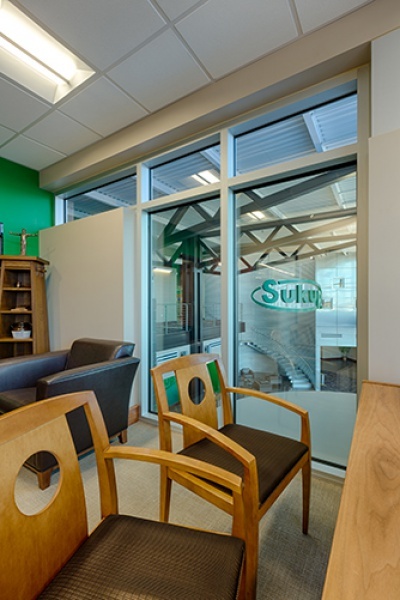 The family owned business is located in the relatively small town of Sheffield, Iowa. 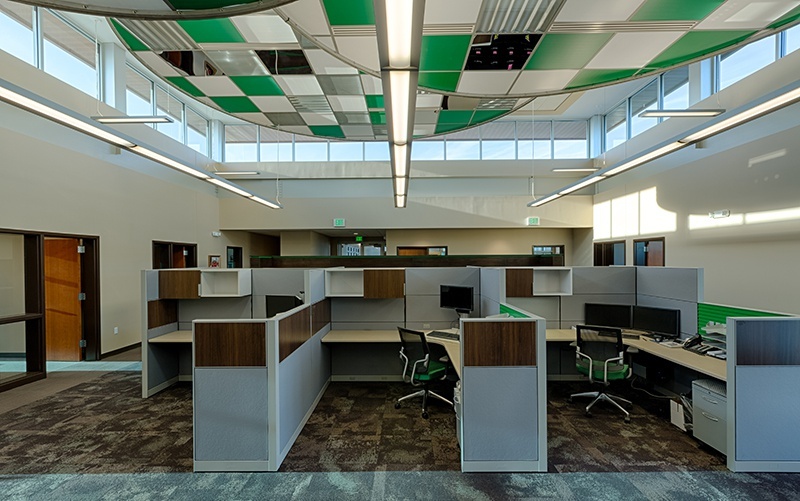 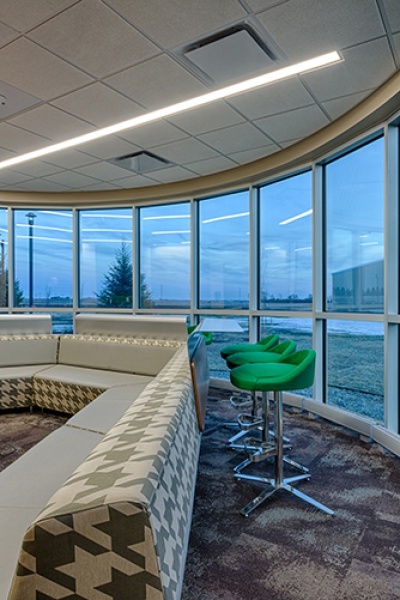 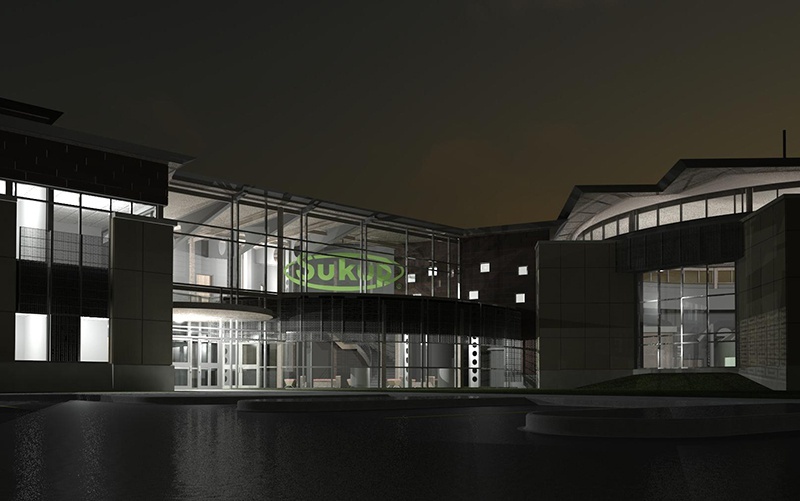 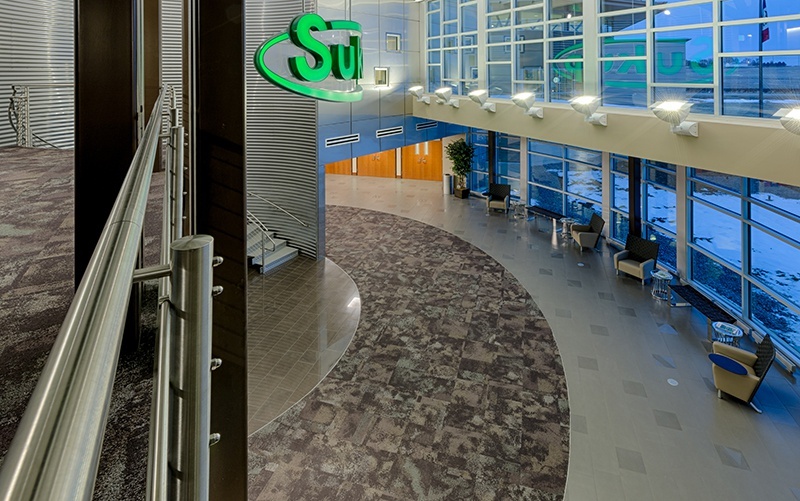 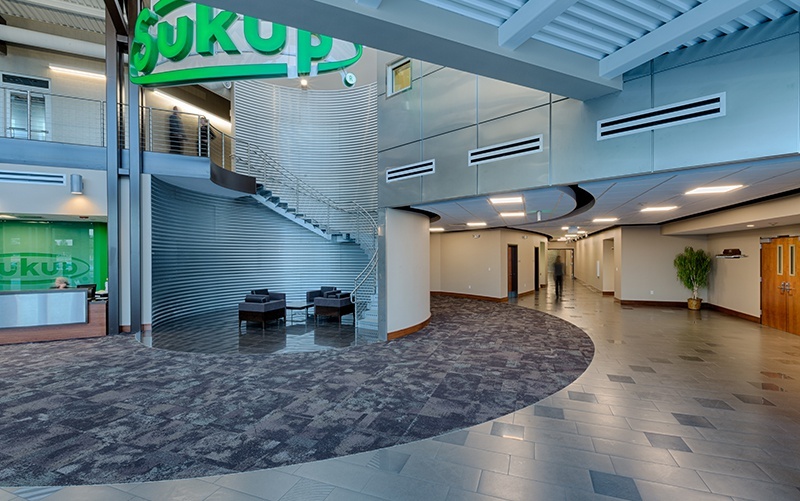 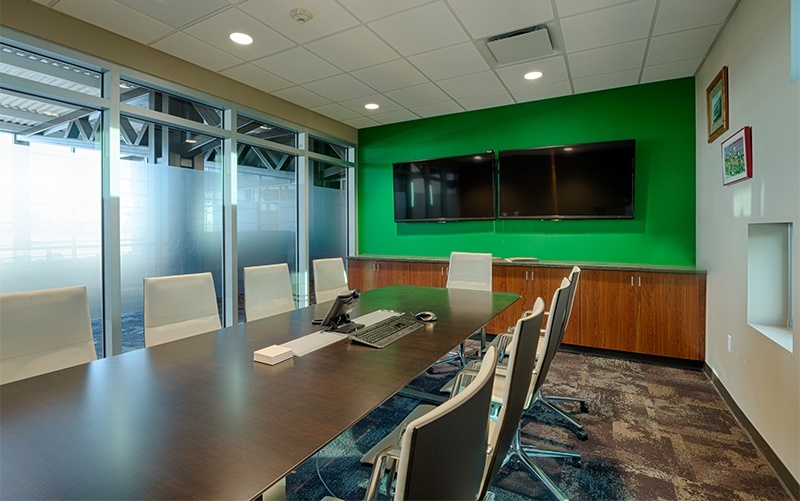 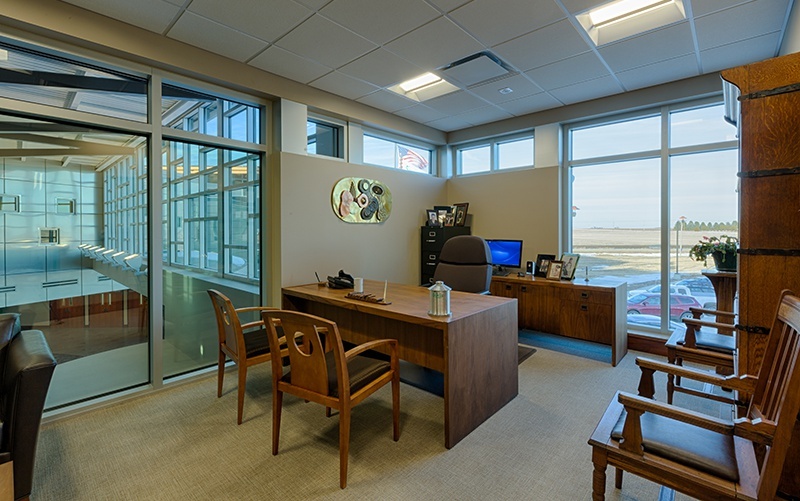 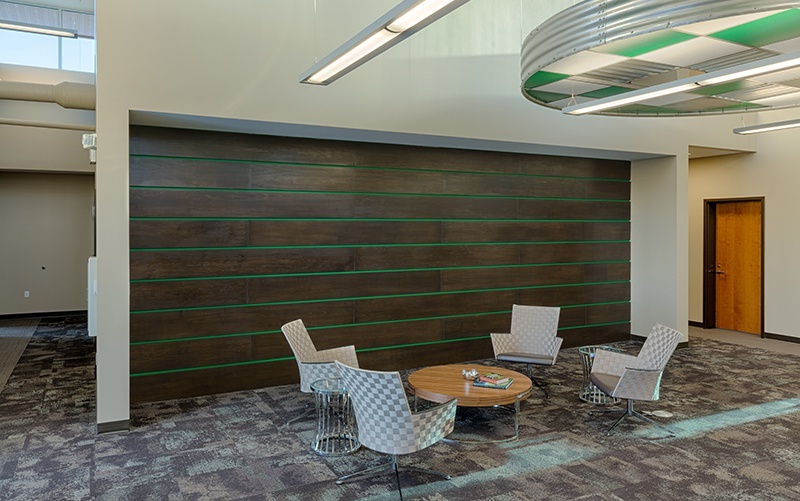 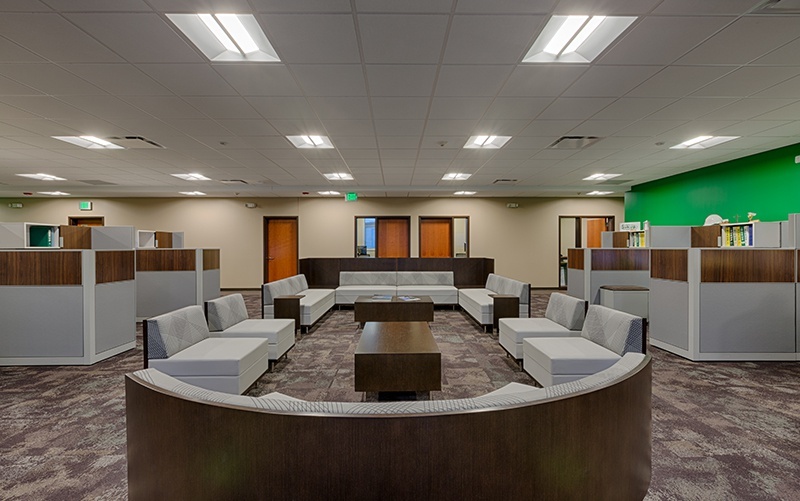 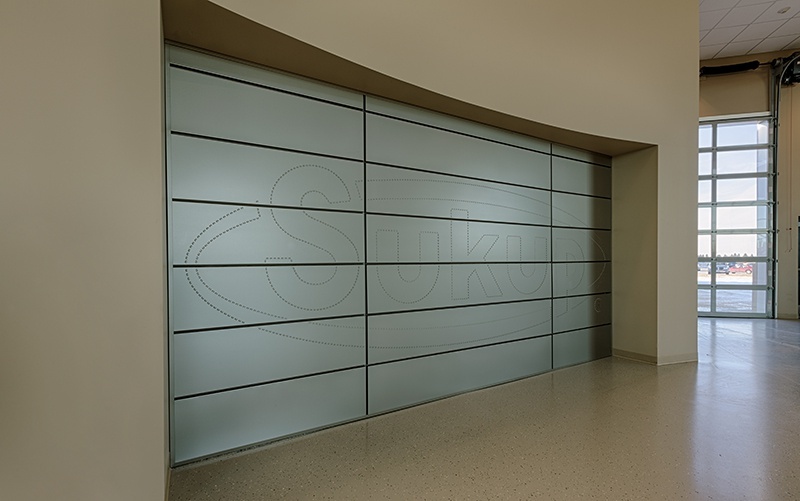 As early as 2009, Bergland + Cram began working with the Sukup family to program preliminary needs for a new office complex to replace their existing space. 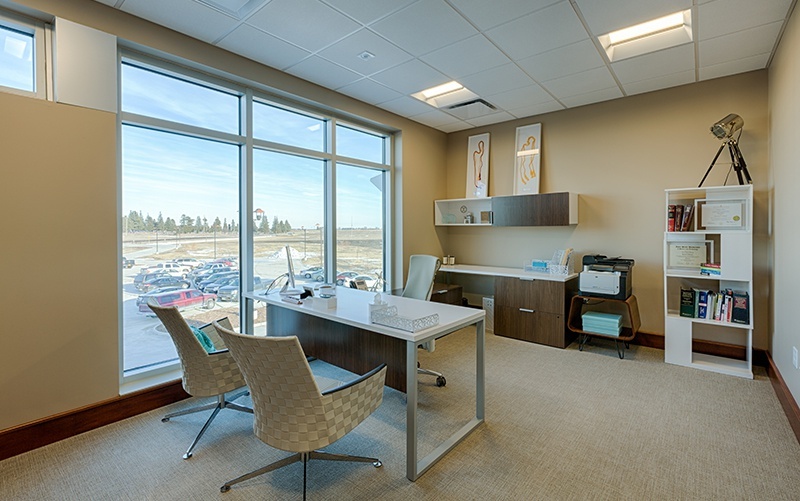 The owners wished to blend prairie style with industrial elements, resulting in a truly unique aesthetic. 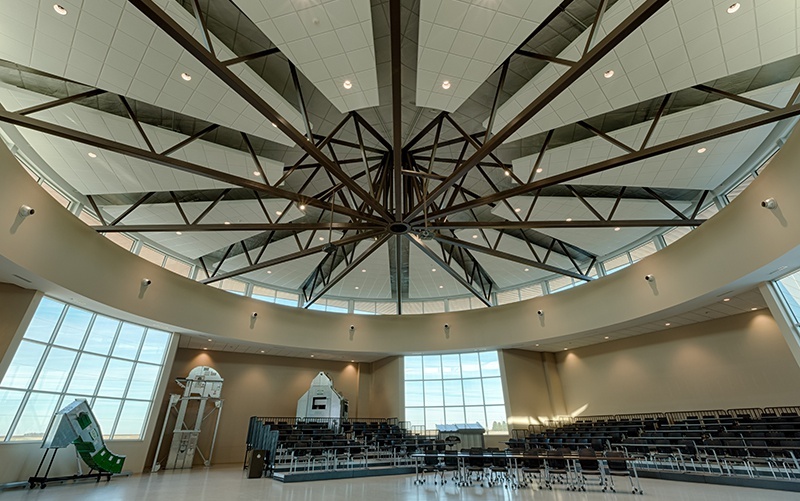 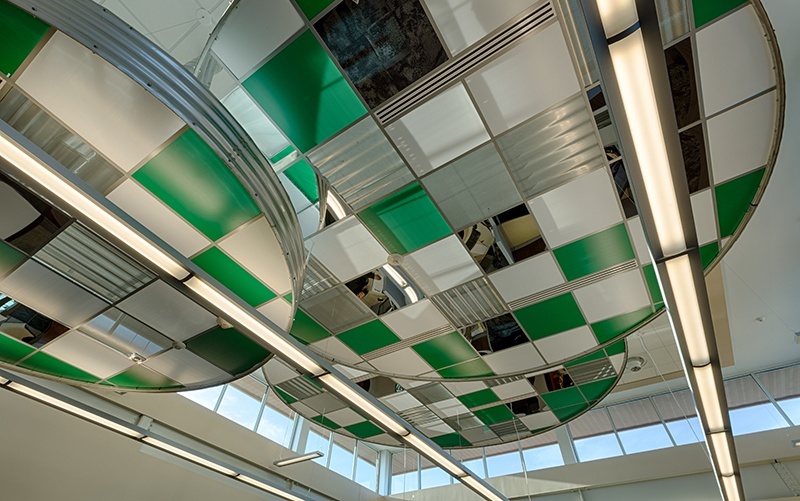 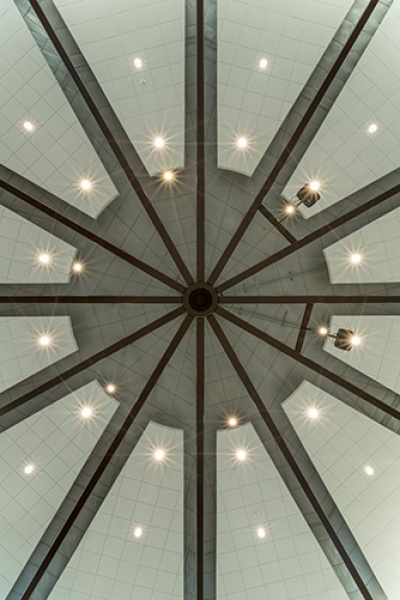 A central lobby grounds three wings consisting of administration space, display space, and a “jewelbox” auditorium.